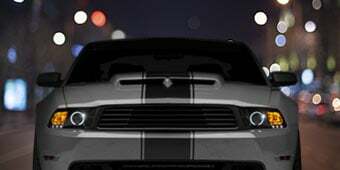 Please select options for RTR Tactical Performance Lowering Springs (15-19 GT Fastback, EcoBoost w/o MagneRide) at the top of this page. The RTR Lowering Springs are gonna be a good option for those of you out there that aren't looking for anything crazy from a lowering spring in terms of drop, and that want something for a daily driven car or a street car that's gonna create both a good look with a good set of wheels and an improvement in performance. I'll talk more about the install later, but you're looking at a two outta three wrenches in the difficulty meter. These springs don't give the same drop all the way around the car, but instead they give a precise drop that RTR feels is better in both categories. These springs offer a drop of 1.1 inches in the front of the car and 0.8 inches in the rear. Now, this is what I consider more in the standard side in the world of lowering springs for the S550 because currently you tend to see that the majority of springs offer a standard one-inch drop. But I'll go back to what I said earlier about RTR thinking that this drop is gonna give you the best of both worlds. The rear spring will drop the rear enough to make it look good, but not make it look too saggy, and give the car a better stance. Of course, a lowering spring is gonna lower the center of gravity to provide some handling improvements, like reducing squat and body roll in corners, and eliminating nosedive under hard braking. And like I just said, this specific drop is enough of a drop to give the car a more aggressive stance, especially when you have good fitting wheels and tires. With that said, keep in mind that the drop and the overall appearance will look a little bit different, depending on your wheel and tire setup. So these are gonna be compatible with both the factory and aftermarket wheel and tire setups. The plus side of the S550s looking so good and responding so well to a little bit of lowering is they can create a functional low. By that I mean it's low enough to look good, but not low enough to cause issues, either on the tire or under the car. It's gonna leave you with a very streetable car still. The other thing to consider when you're shopping for springs, besides the drop, is ride quality. These springs do have a progressive spring rate that RTR has tested on both the street and the track, so they give a nice street ride quality, but they're gonna firm up as you push the car during performance driving. As far as price, these springs are gonna cost between $200 and $300, which is right where the majority of other springs are falling, as well. Of course, there are some springs that are either less expensive or more expensive than that, and even springs that are all across that price range. So the install here is gonna take about four hours. I'm gonna call it a solid two outta three wrenches on the scale because you will need some knowledge to complete the install. So I'd recommend having a knowledgeable helping hand or taking this to a shop for the install if you haven't done this before, especially since it's always a good idea to get an alignment after the install anyways. The install can be done on jack stands if you don't have access to a lift, but as usual, a lift would be your best bet. Gonna need a few tools, including a spring compressor, so make sure you have that before you start the install. Gonna need to get down to the spring and strut assemblies, so everything like the wheels, brakes, and AVS lines will need to be moved out of the way, so you can pull the assemblies out of the car. The spring compressor will help you remove the spring from the strut and install the new front springs, which are compressed and installed the same way. New bump stops are slid onto the shock, followed by new boots. The strut assemblies go back the same way they came out and the install is the same for both sides. The rear is where things are a little bit different, but it's nothing crazy here. Essentially, the IRS subframe will be dropped, along with the rear shock mount, so you can slide the rear springs out. Just like the front, the rear springs install the same way they were uninstalled, no surprises here. The new springs can be installed and the IRS subframe can be bolted back up, and that's about all it's gonna take. Like I mentioned, a fresh alignment after the install isn't a bad idea. Wrapping things up here, the RTR Lowering Spring kit offers a 1.1 and a 0.8-inch drop in the front and rear respectively. These springs are designed to give you the best of both worlds between performance and looks. And as always, I suggest you check these out more online for yourself. 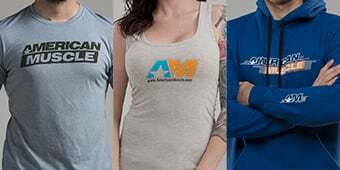 And for all things Mustang, keep it right here at americanmuscle.com. Improves Handling Performance. 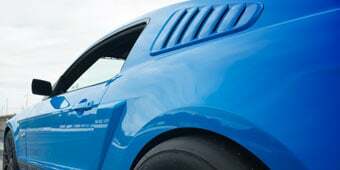 Are you a S550 or EcoBoost Mustang owner that is looking for a great ride on the street and a significant increase in performance when putting your Pony through its paces? 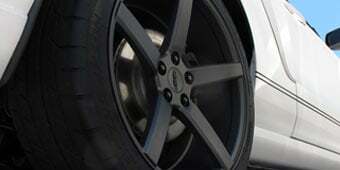 If so, you need to upgrade to a set of RTR Tactical Performance Lowering Springs. 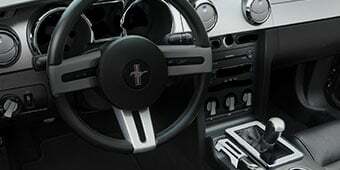 RTR Springs not only lower your Mustang, but they also feature proprietary street tested and track proven progressive spring rates for performance handling. These Springs were engineered to work with both base and performance pack dampers. However, in order to experience the maximum performance these Springs can offer, they should be installed along with RTR's matching Tactical Performance Adjustable Dampers and Sway Bars. Sleek Muscle Car Stance. 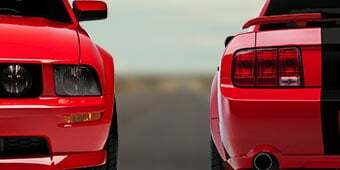 Not only does a set of RTR Tactical Performance Lowering Springs improve the handling performance of your Mustang, but they also improve its overall appearance. By lowering the ride height 1.1" up front and 0.8" in the rear these RTR Performance Springs will eliminate that huge tire to fender gap, for a sleek muscle car stance without the rear sag that other kits have when they lower the front and rear the same amount. Application. This set of four RTR Tactical Performance Lowering Springs were developed to create the perfect drop in regards to both appearance and performance and have been specifically designed for use on 2015-2019 Fastback GT and EcoBoost Mustangs. Spring Rate: Front: - lb/in. Does it fit to ecoboost convertible? 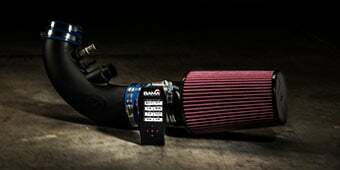 This is going to fit any 15-19 EcoBoost, both Convertible and Fastback models. Do you need caster camber plates with these on stock shocks? 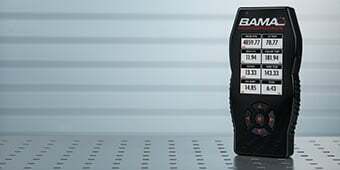 Can a ford dealer align it to factory specs or do I need to go to a performance shop? The RTR Tactical Performance Lowering Springs will not require caster camber plates, and should allow any shop that offers alignments to bring your car into stock alignment specs. The description says Ecoboost as well Do they fit or not? The RTR Tactical Performance Lowering Springs will fit both EcoBoost models and GT models without the MagnaRide. Good Day, Is it possible to have a video uploaded? Want to see how the drop looks on a S550 GT, and the installation. Also, anymore customer pics? Hey Darren, As for the video, the video teams rolls videos in daily and they try to get as many products as they can so this may become a video shortly and as for the customer photos we apply them as soon as we get them so what we have is all we've received so far. What are the spring rates for these (low and high, given that they're progressive)? Spring rates always vary depending on the weight of the vehicle so spring rates are measured in averages. 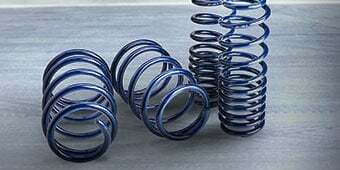 The average spring rate for the front springs are around 200-314 lb/in. and the rear springs are around 800-914 lb/in. These RTR Tactical Performance Lowering Springs are manufactured slightly different. Additionally, the spring rates for these springs are specifically designed for a GT. Installing these springs on a different model will not perform as designed. 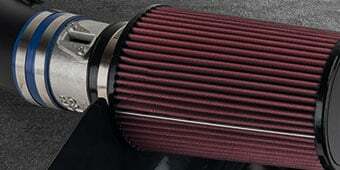 Put them on my brand new mustang and the front spring start making noise over pumps... DONT buy them. Thats all i can say. Perfect look, not to high and not to low. Gave it the muscle car look. I have a 2015 roush. Car sits perfect. Car is not harsh and stiff riding at all but still handles very well. Spring feel just like the PP springs still but car is lower. Just what I was looking for but with less body roll. I pulled the trigger on these and I say they are worth every penny! The stance is perfect it pretty much all rear fender/wheel gap and totally eliminates the gap in the front. They look amazing and handle very well around corners and curves you can definitely tell a difference. They also reduce sway and aren’t bouncy like some other springs. Thanks American muscle and RTR for making my car look that much better! I've never done any mods to the suspension in any vehicle. I decided to take a chance and buy these springs, with the hopes of cleaning up the look, and feel of the Mustang. Im happy to report that these springs have accomplished both. The look is just right, just enough to notice but not too much to be crazy. As far as the ride, so far it's nice and tight. A bit rougher then stock, but it adds that sporting feel I was hoping for. Around corners the car stays flat. The car will need an alignment. Install was fairly easy. Overall I'm completely satisfied! These Springs look great. I have 265/35/20 tires with 1 inch spacers in all 4 corners. The Springs complimented my tires and spacers perfectly. I have no issues with rubbing or figment. The Springs ride very close to stock, they are a tiny bit stiffer during regular driving. But when you go into a corner they noticeably reduce body roll and keep your car planted. I love going on windy roads with these Springs, they make the car handle like a sports car. The spring install was pretty easy since there is a video posted on the product page that walks you through the install. The install took me about 6 hours because I was having difficulties getting the spring to line up properly with the spring compressor I was using. Rear Springs were very easy to install and probably took about an hour and a half. These springs are as promised!! Improved handling while keeping a comfortable ride still. Great stance with a slight rake, which still gives good clearance. Stopped the huge front nose lift on hard accelerations, with causes the rear end to squat harder. I paired these RTR springs with KONI struts and shocks. Hope this info helps. I was going for performance more then a look. A clean drop that you won't be disappointed.. Just got the Rtr wheels with them and they look right on our cars.. lowered just perfect. 2016 GT with 265/35/20 tires with 1 inch spacers in all 4 corners.